Many people may still be reeling from the death of Cecil the lion - but one app took that grief to a bit of an extreme. Gamemakers recently created a new app called "Cecil's Revenge," and it's pretty much exactly what it sounds like. In the game, wild animals such as elephants, giraffes, lions and zebras go around hunting poachers, trying to shoot them the way these wild animals are shot when they're hunted. "Cecil's Revenge" was inspired by a similarly structured game called "Asteroids," except in this version, players are shooting hunters, not flying space rocks. Apple rejected the game because it violates their guidelines against the targeting of a specific race or culture. The game was picked up by Google, however, and can be downloaded through Google Play. Drew Gibson on Instagram: "I've found my calling in life, and it's to be a professional Cecil's Revenge player, shooting scumbag poachers in the face. The game..."
"Cecil's death empowered us to do a game where animals shoot at the poachers for a change. We have the animals shooting while flying through space for a reason. It has to do with drones and satellites. 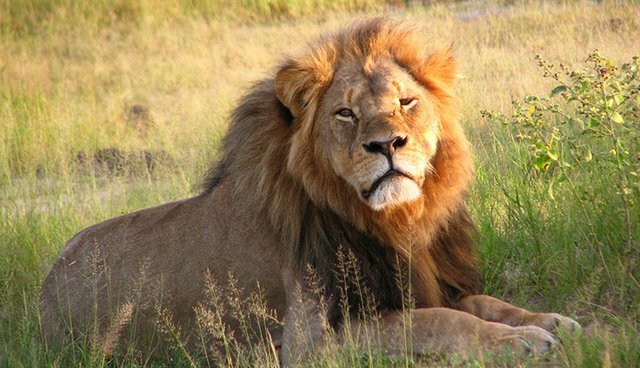 These modern technologies could track the animals and also track the poachers if they kill another Cecil." The proceeds from "Cecil's Revenge" will help fund technology to stop illegal poaching, such as drones and satellites. It's clear the game's creators truly care about stopping the hunting of innocent animals and are trying to use the game to promote that cause. However, trying to fight killing with the portrayal of more killing seems misguided. While trophy hunting is cruel, the lesson we take away from Cecil's death shouldn't be revenge - it should be to better educate ourselves about the horrors of hunting and poaching, and ultimately put a stop to it peacefully.